EFile is only for tax professional who registers with CRA as EFiler. If you are preparing tax returns for yourself, family or friends, please switch to NETFILE software. Windows (and for Linux Wine) 20MB taxexp18_efile.zip Unzip and run the unzipped file to install myTaxExpress. 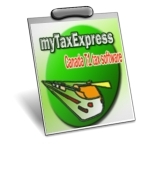 taxexp18_efile.exe Download and install myTaxExpress. If you cannot run the setup program, you can use next download option. taxexp18_efile_nc.exe Windows Vista and/or its older version don't recognize the latest code signing certificate. Mac (Intel CPU only) 80MB Install and run from Applications folder after download, mytaxexpress2018_efile_mac.zip Unzip into Application folder, then run T2Express directly. Read the following two links about Mac Setup.